The many and great changes that have taken place in the parish of Neilston in recent years have been such as to render the information contained in the different historical accounts now extant very misleading, and in many particulars quite incorrect. The public works described as flourishing at the time the accounts were written, have in many instances now ceased to exist altogether, and new forms of labour and enterprise, in which the parish has taken a forward part, are altogether unrecorded. Properties have changed hands, noble and illustrious proprietors, once large holders of land, have ceased to be possessors in the parish where they at one period flourished, and industries unheard of at the date of the latest of the former records, have brought new men and new business into prominence; whilst by the union of several small hamlets, unimportant places a few years ago, what was lately the town, now the Burgh, of Barrhead, has become a busy centre of industry and influence; and the spread of various railway systems throughout the parish has brought the whole community into closer touch with the outside world and its affairs. For these and other reasons, the writer has thought good, whilst not neglecting or leaving unconsidered the landmarks of the past, to put on record, however imperfectly, the following statements bearing upon the conditions of the parish as they present themselves at this date. The objects aimed at have been to trace succinctly the origin of the parish and its people from the earliest periods to the present times; to describe the progress and advancement that have been made socially, politically, and economically., and, with the changes, to indicate the vast improvements everywhere visible in these respects. It has also been the writer’s aim, as far as is compatible with the character of the book, to consider the Archaeology and Antiquities of the parish, ami presen e some record of such of the ancient mansions as are last passing away under the corroding influences of time and neglect. In connection with the earlier of these studies, an endeavour has been made to trace the origin—or “whence?”—of the numerous Place-Names that have come down through the ages to us attached to the great, though familiar, outstanding landmarks of the parish— a record, in short, of things old and new as affecting the parish and the community. To friends from whom the writer has received help and guidance, he desires to express his grateful thanks, and though, for the most part, he has refrained from adding foot-notes of the several works consulted, yet he gladly acknowledges both the authors and the works he has been indebted to for valuable information, and from which he has frequently made extracts, and without which, in short, the book could not have been written. In closing this record of an ancient parish, there comes the forceful presentiment that its rural conditions are silently, but surely, undergoing change. Public opinion, which quite recently was little more than in embryo, is now so rapidly expanding, that, ere many decades pass, the simple customs, frugal habits, and kindly manners that characterised the earlier and more primitive people, will have largely passed away, giving place to more strenuous and exacting conditions. For good, or otherwise, many things are contributing to this end, and nothing will stay it, even were it desirable to do so. No one is more sensible than the writer of a certain want of sequence or continuity in the work. But this was to some extent almost unavoidable from the fact that it was written at spare intervals as opportunity presented during the arduous practice of a country professional life. Dawn of history—origin of kingdom of Strathclyde—early races—river-drift and cave-men: description of, their relics, typical features, and habits— the Iberian race: their origin, description, and racial relations—cromlechs west of the parish: description of—the Gauls: their arrival in our country; description of—Bronze Age—crannogs and lake-dwellings—the Britons: their arrival on our shores; C<esar’s reference to them—Celts, Welsh, Picts—arrival of Scots from Ireland—Dalriada—the religion of the Britons —the Druids: their occult rites—question of racial absorption. Invasion by the Romans under Caesar—Agricola’s invasion of Scotland—the arrival of the Romans at the Cart, Paisley: the natives they found there, their character and customs—earth-dwellings—the withdrawal of the Romans; their influence on the inhabitants—the kingdom of Strathclyde and its great rival, the kingdom of Northumbria—Strathclyde Britons—Picts beyond the Clyde and Forth: their wars—predominance of Scots— formation of Scotland—King David I. of Scotland—origin of the County of Renfrew—early reference to the men of the district of Neilston— erection of Principality for the heir apparent, under the title of Prince and Steward of Scotland—title still retained by Prince of Wales. Origin of the parish of Neilston—earliest notice of it—its connection with the Abbey of Paisley—Walter the great High Steward: his family history—Robert Croc, or de Croc, Lord of Neilston—Henry de Nes, of Levern— probable origin of name Neilston—situation, extent, boundaries, and general configuration of the parish—Mineralogy—precious stones and metals found in the parish. Levern, Cowden, and Loch Libo valleys—Interglacial stratified beds in Cowden valley—Special glaciation on limestone formation west of the parish at Lugton—Topography of the parish, and views from hill-tops around Neilston. Situation and source pointed out, and their courses direfully traced to their origin—the lochs and dams described, and the several spring wells from which the water-supply for Neilston was drawn, before the introduction of gravitation water, pointed out and named, and an analysis of the principal of them given, including the Lady Well—the climate of the parish. Agriculture: its beginnings; condition on the arrival of the Romans; under the Romans; in the time of St. Columba; in the reign of King David I.; under the tribesmen; and under the monks and abbeys—early laws relating to agriculture—military service—serfs and carles—the relation of the Church to the land—rents in kind—Baron Officers’ Courts— dempster and birleyman—Succession cropping—rotation cropping—improvements in eighteenth century — first reaping machine—wages in relation to farm work in eighteenth century—new developments in farming —the new milk trade, and sanitary and other improvements consequent on it—improved breeds of cattle and horses—the question of farm-servants —village life. The antiquity of the town of Neilston ; its situation, past and present trade —recent improvements in the town—land tenure and feus—peculiar feus—the feudal system—the early Church of Neilston; its gift to and connection with the Abbey of Paisley. The Reformation — Bull of Pope Clement IV. relating to churches generally, and Neilston church—Protestants petition Scotch Parliament regarding purity of worship, promotion of education, and relief of the poor—abolition of papal jurisdiction in Scotland — Queen Mary’s arrival at Holyrood; her influence in support of the older faith—the position of Neilston church in 1572—the expulsion of ministers from their charges and endeavour to impose the Episcopal Church upon the people—suspicion regarding Neilston—outrage in the manse, and heritors fined—Communion Hill, Neilston the ancient church: its Gothic window, and vault; its litigations; the organ; the memorial windows; the churchyard—Church patronage—the manse — the United Free Church—the Roman Catholic Chapel—the several schools—Friendly Societies—Society for Charity—Agricultural Society—the halls—drainage of Neilston—Barrhead and Neilston races— Uplawmoor—Shilford—Gateside. Component hamlets: Newton-Ralston, Dovecothall, Grahaniston—origin of name—recent rapid growth and expansion of trade—adoption of the Burgh Police (Scotland) Act—great improvement in the town during the several provostships—churches — schools — railways— water-supply and sewage scheme—Volunteer movement—successful prizemen—Territorial Forces—patriotism during Boer War—endeavour tominimise suffering of Volunteers at the front—Despatch of large quantities of comforts— interesting letter bearing on procedure after Waterloo—new Territorial Army. Killoch, Pollock, Colinbar, Waukmill, Cowden, and Midge Glens—lands and properties (Glanderston, Lochliboside, Neilstonside, Dumgraine, Fereneze, Auchenback, Chappell) and landowners—population of parish—police and other information—roads and highways—statute labour roads—toll-bars and toll dues. Village and rural life—defective means of travelling—trades: their usages and customs, and certain bad effects from them—improvements in this respect —labour surroundings improved—State education—old age pensions— holidays—the dawn of brighter outlook—physique of the people : evidence of improvement—manufactures of Levern valley—old Parochial Board—old Poorhouse in Neilston—local government—Parish Council. 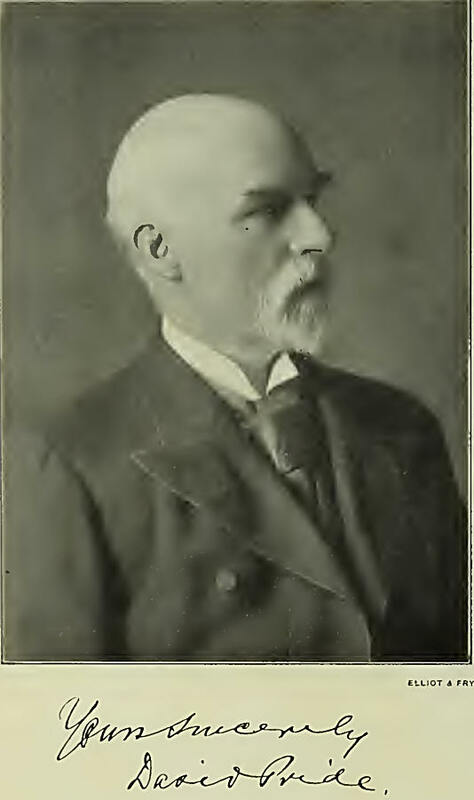 Mures of Caldwell—Carlibar and Mrs. Glen—Henry Dunlop, Lord-Provost of Glasgow—Speirs of Elderslie—Dunlop of Arthurlie—captains of labour: Orr of Crofthead; J. & H. M'Connell, Broadlie; Z. Heys & Son, South Arthurlie; Cochrane, founders; Shanks & Co., Tubal works; J. M'Haffie & Son, Kirktonfield; Saunders & Connell, Barrhead; Locke, Arthurlie Bleaching Works. Queen Victoria’s jubilee—bursting of Glanderston dam —Victoria pit explosion —accident on the canal at Paisley—Loch Libo coalpit disaster—the French in Ireland—the baptismal cake—riding the broose—the Beltane “tanel”—gathering the yarrow—paying or penny weddings—newspaper clubs— characters in Neilston—the snuff-mull in the kirk—the goose and the jaw-hole—“smeekin’ Johnny”—street preaching—witches in Neilston— smuggling in the parish—remarkable burglary in the parish — execution of the burglars—the Cowan Park. Introduction of linen from Holland—prices of provisions early in eighteenth century domestic customs social customs and practices in Edinburgh— the Assembly—marriages burials — omens witchcraft—dreams—education—literature—reading— state of religion —clubs—change-houses. St. Comal's chapel and well—Our Lady’s chapel and well—Celtic town of Dumgraine—High Steward’s castle, or hunting seat, at Neilston—Image Glen—Arthurlie stone or cross—Capelrig stone or cross—Druid or Covenanters stones—ruins of Cowden Ha’—old Hall of Caldwell—Glanderston House—Neilstonside Spanish coins—curious prescription—letter from King James VI. of Scotland—ancient tower of Caldwell Place—Gothic window in Neilston clnirch—ancient cross in churchyard—old ruins of Stewart Raiss castle. The succession of clergymen, past and present, in Neilston, Barrhead, and Uplawmoor—past and present medical and legal practitioners in Neilston and Barrhead, and teachers in Neilston, Barrhead, and Uplawmoor— Neilston public school magazine. Persons of eminence, past and present, of the parish: Baron Mure; William Mure; Dr. Monteath; Dr. William Young; John Robertson, inventor; John Shanks, inventor; Janies Rigg, poet; John Davidson, poet and essayist; E. A. Walton, artist; Alexander Horn, missionary and poet; James Shaw, teacher, essayist, and poet; James Scadlock, poet; Ex-Provost Brown, historian, etc. ; Robert Louis Stevenson. County Councillors for Neilston, Barrhead, and Uplawmoor—Parish Councillors, landward and burgli—Parish Council as at 1910—Members of School Board—Board as at election, 1909—Clerks to School Board—Members of the Commission of the Peace—Inspectors of the Poor. The common names, scientific names, and localities where found, of: I. Mam malia; II. Reptilia; III. Amphibia; IV. Ornithology, of the parish. Latent seeds—colonisation—Algal—Fungi—flowering plants—list of plants in the parish, their scientific and English names, and the stations or places where found. Importance of the study of place-names—names of Celtic origin and names of Teutonic origin—the relation of natural phenomena and superstition to the origin of certain names, and the past fauna of the parish to the origin of others. The great comets of that year—the death of King Edward VII.—parish affairs —the mill strike. The Poll Tax Roll for the parish of Neilston, for giving the name, residence, and occupation of every householder, and practically every inhabitant in the parish over sixteen years of age, at that date ; with the several land divisions recognised at that period.